The Poconos, Pennsylvania is undoubtedly one of the most beautiful holiday destinations in the country. Have you ever thought of riding a horse into the woods enjoying the peaceful and enticing natural beauty of the forest? If yes, then Poconos is the perfect destination for you and your family to enjoy your holidays spending some quality time together. The Poconos offers you some exciting and adventurous activities that make the adrenaline rush through your blood. Deer Path Riding Stable is a great place for the entire family to come enjoy the Horseback riding in the Poconos. They provides the guest families with the unique opportunity of exploring the looming mountains, lush green forests, and the extended meadows while riding one of the majestic animals present in the world. Pony rides, trail rides, birthday parties and more! Deer Path Riding Stables is one of the most popular attractions among our guests when renting a house in the Poconos. No matter the skill level, Deer Path Riding Stables takes the time to match their houses to the riders based on personality and size. Children ages 2-6 are able to ride beautiful ponies while being hand-held and protected through a secure part of the farm. You and your family can enjoy the thrill of a lifetime. It doesn’t matter if you don’t know how to ride a horse, you still can grab this amazingly romantic opportunity of riding a horse with your loved ones. So, do not wait for the perfect time, pack your bags, hold your loved one’s hand, and grab the romantic opportunity of the riding the horse into the beautiful Poconos region! 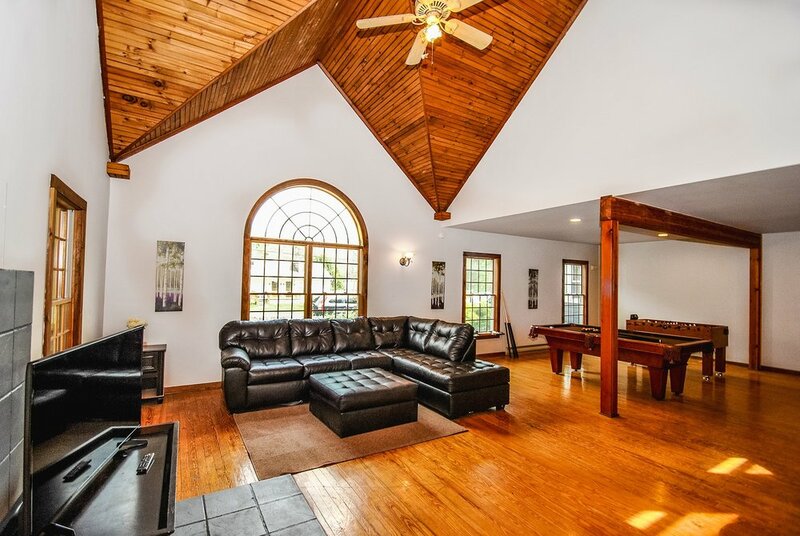 Reserve your Pennsylvania Home and Vacation Rental in the Poconos or call us today at 718-303-0448. Sleeps 21: 8 Bedrooms (8 queen beds), 8.5 Baths, Game Room with Roku w/Sling/Netflix, Gas Firepit on the side, BBQ Grill, Wood Fireplace in Living Area and a Seperate Gas Fireplace in Great Room, Pool Table, Foosball Table and huge dining room table seats 12-14. 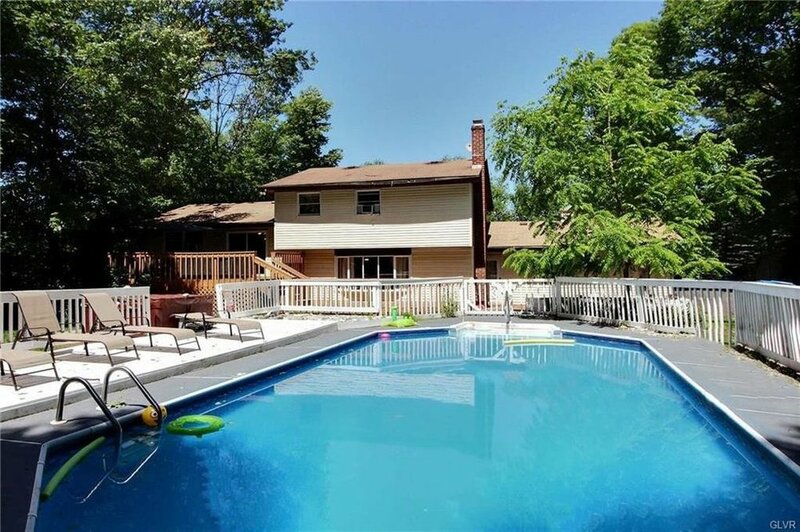 Sleeps 14-16: 6 Bedrooms (6 queen beds), 3 Baths, Beautiful Large Private Pool (Only Open Early May - Late Oct), Game Room with Roku w/Sling/Netflix, Firepit in the Back, BBQ Grill, Poker Table and a Hot Tub next to the pool. Sleeps 14-16: 5 Bedrooms (5 queen beds), 3 Baths, Small Private Pool in Back Deck (Only Open Early May - Late Oct), Roku w/Sling/Netflix, BBQ Grill, Game Room with Ping Pong Table and an Indoor Hot Tub. Sleeps 14-16: 6 Bedrooms (6 queen beds), 3 Baths, Game Room with Roku w/Sling/Netflix, Firepit in the Back, BBQ Grill, Poker Table and a Hot Tub right outside, also a creek is down the hill. Sleeps 16: 7 Bedrooms (6 queen beds and 1 king total), 4 Baths, Beautiful Large Gas Fireplace, Roku w/Sling/Netflix, Large 2nd Floor Master Suite, Firepit in the Back, BBQ Grill, Game Room with Poker Table, Projector, Speakers and a Hot Tub with a beautiful and huge rushing creek. We have a great place FOR your stay and make you vacation… grand!